Even though it isn't spring yet, some apple trees of the Ghouta orchards in Damascus have blossomed. This was due to the warm weather we were experiencing. Later on these beautiful blooms will turn into delicious apples. 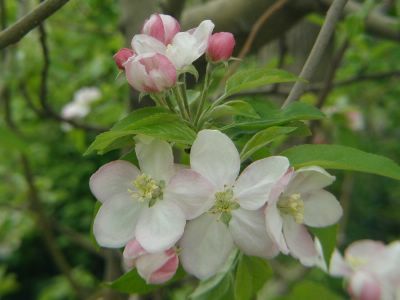 Until these flowers turn into little apples, there is always a fear of the freeze that might destroy the whole crop. Wow now I feel homesick thanks to you :( I bet all my family were speding the day there yesterday while I was roting in here.